We strive to meet the Bengal Breed standard. While striving to meet the CFA standards our highest priority is health and temperament. 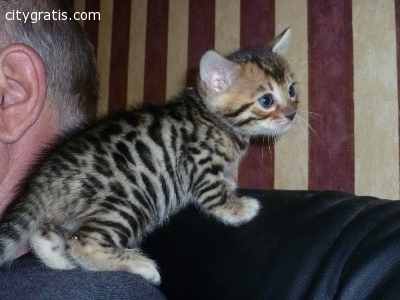 We have breeder/show quality kittens occasionally, available to approved homes only. Prices reflect the quality of the kitten. We take care to make sure that all our kittens or cats are placed in loving forever homes. 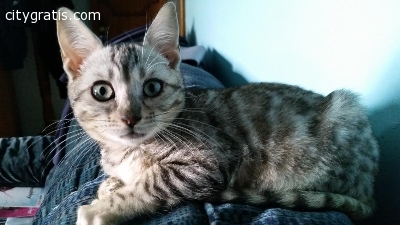 All health checked, been wormed and flea treated, weaned and litter trained.They have been raised in a family home and are used to dogs, other cats and household noises. 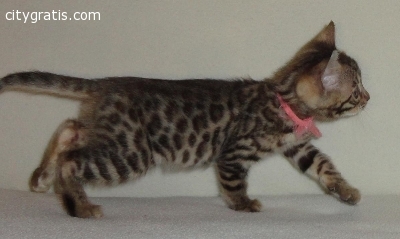 Very confident and forward personalities, normal for a Bengal breed. Inquisitive, love to climb, get into small places and get up to mischief .